If you'd like to use a tape, Cyndy of the The Exchange has a great tutorial on how to screen print using a 3M Tape. Great works too! These are the Tulip Fabric Paint and Elmer's Spray Adhesive. These were all from Michaels. 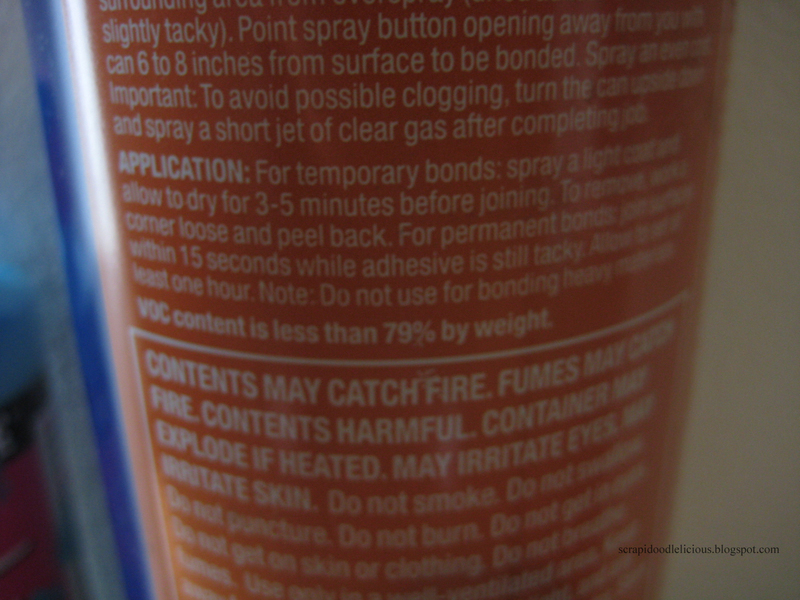 Read the instruction in the Elmer's Spray Adhesive on how to used it for temporary bonds. 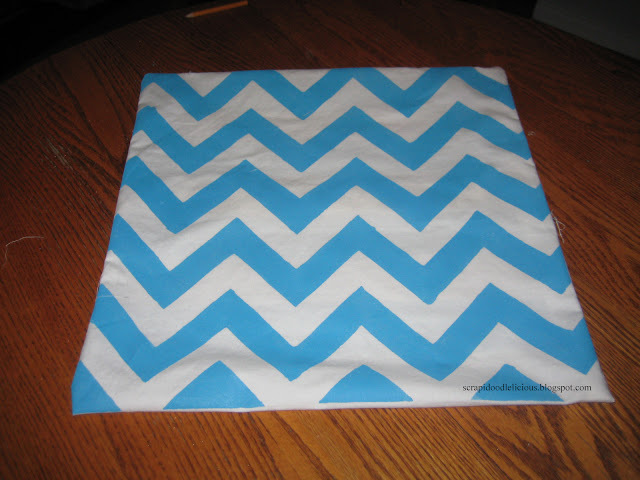 Trace the Chevron pattern to your cardstock or poster board. If you need a pattern, you can get it HERE. 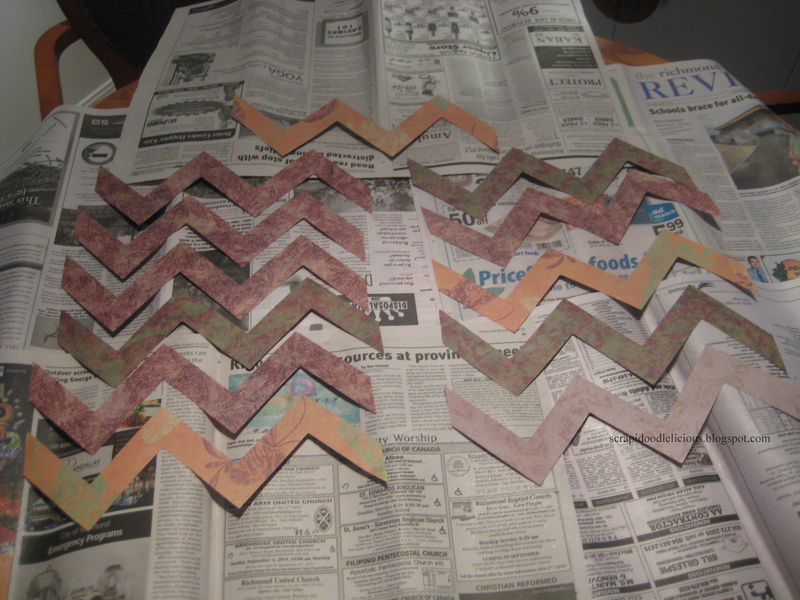 (I used my excess cardstocks that I don't used.) 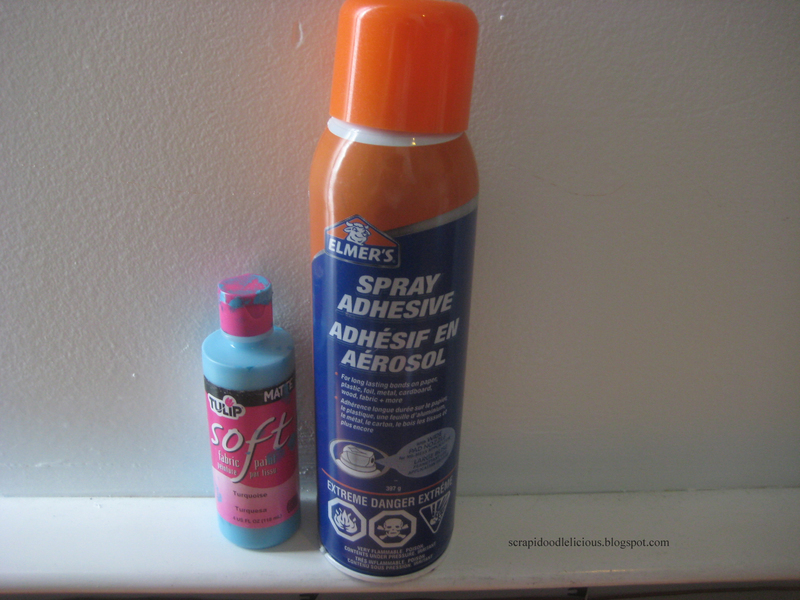 Spray the the back of your pattern with Elmer's Spray Adhesive. Let it sit for about 5 minutes. Prepare your fabric in a flat surface. 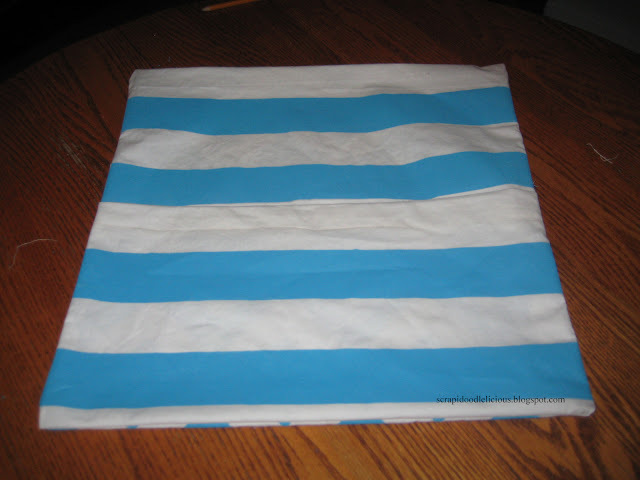 Make sure to put a poster board under the fabric to avoid any spill of paint in your surface. 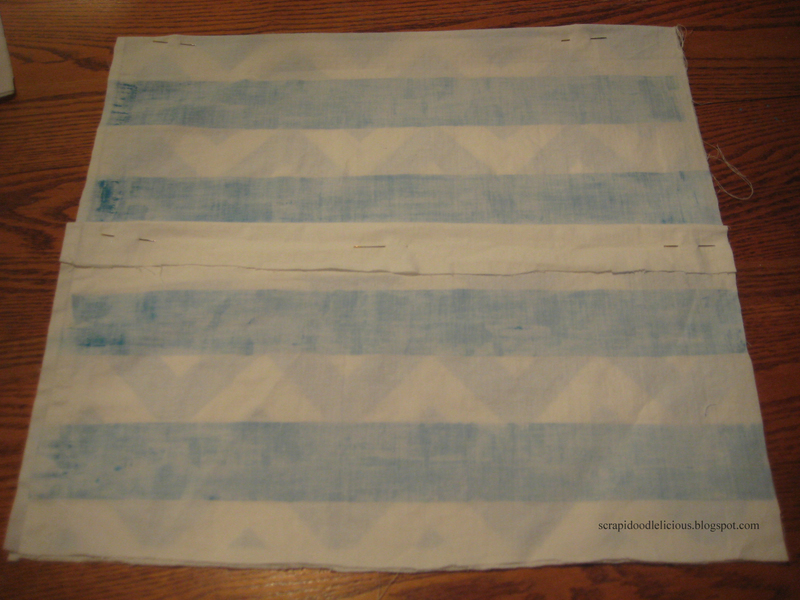 Use the masking tape to stretch the fabric. 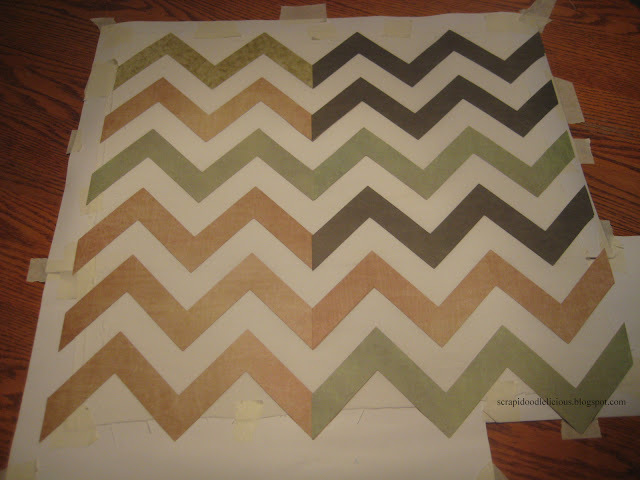 Arrange the Chevron pattern to your fabric. 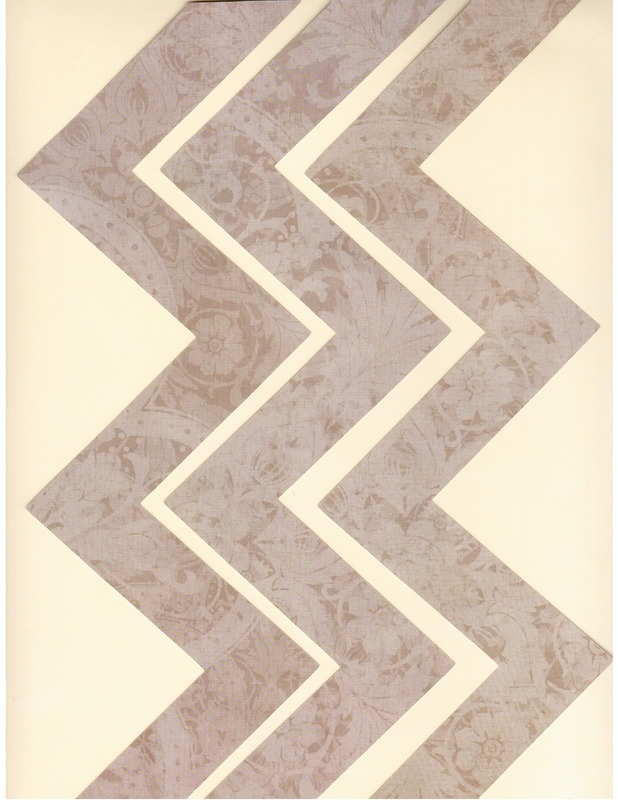 (Overlap the patterns to avoid any space in between two patterns.) 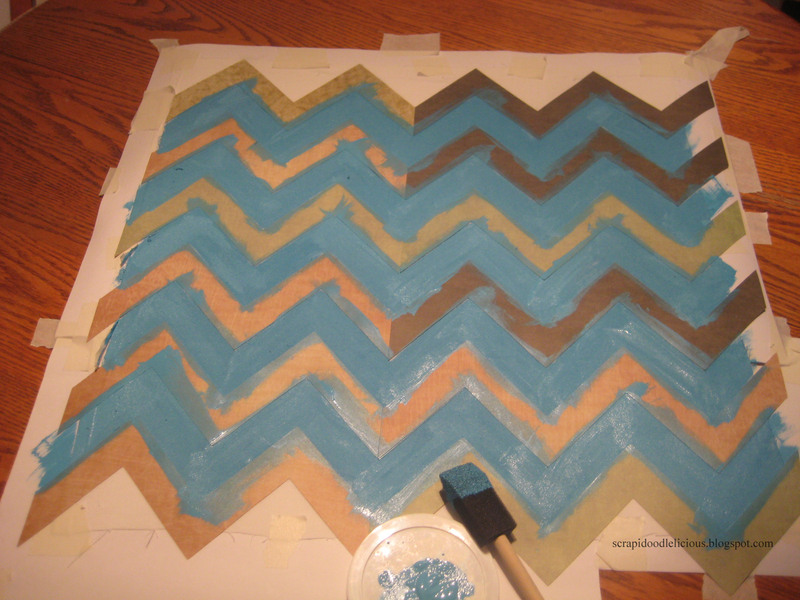 Press the patterns to make sure there's no space for the paint to go through. Use your foam brush to paint in the fabric. Just dub the foam brush when you are painting at the edges of the pattern to have clean lines and use less paint. 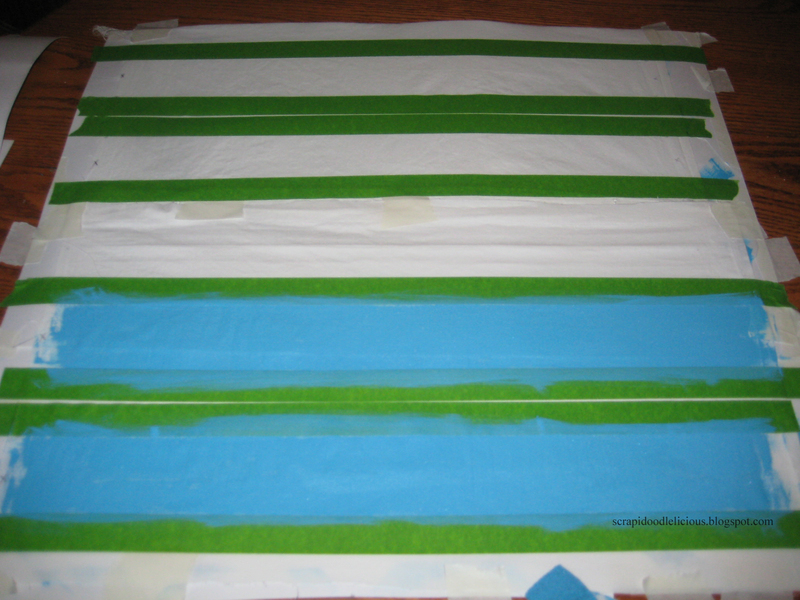 For the Stripes, use a painter's tape. (I used the Frog Tape.) 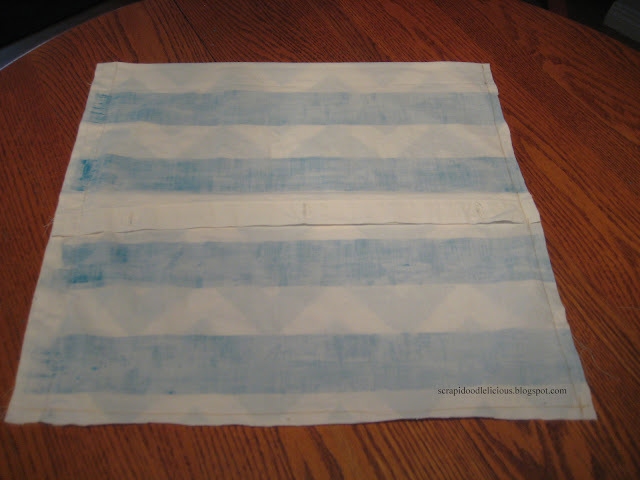 Arrange the tape in a way you want it to show when you finished sewing your pillow case. 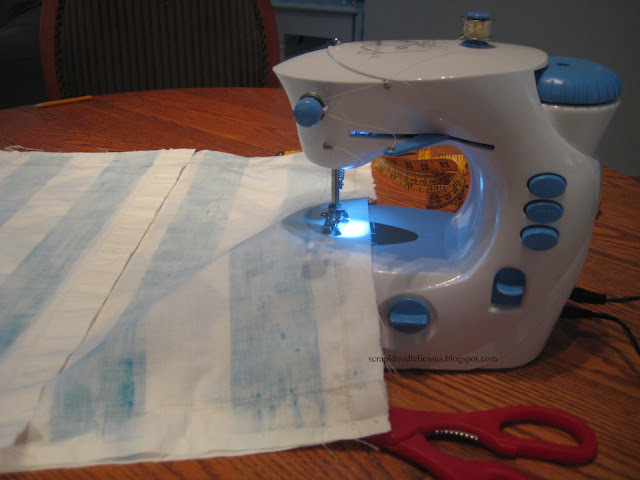 Wait for about 2 - 4 hours before sewing your fabric. Hope my tutorial helps you. 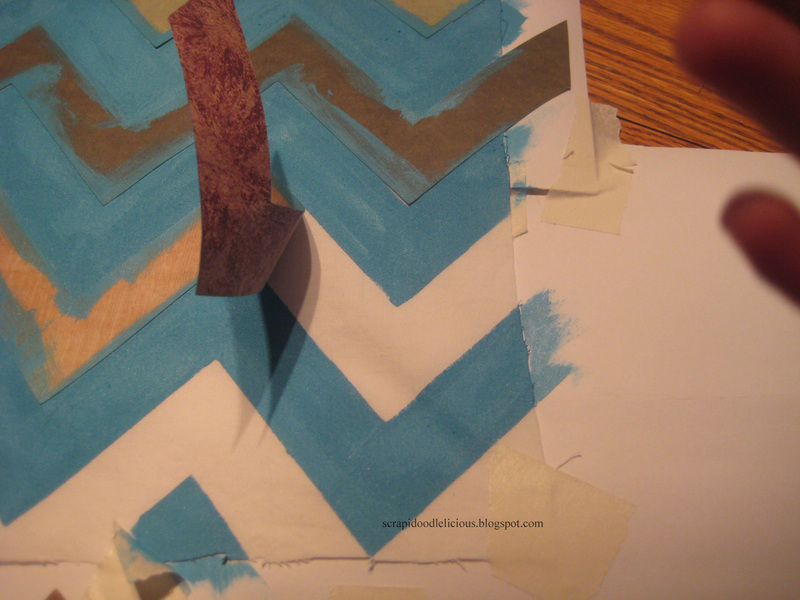 A quatrefoil print screen tutorial is coming in the next posts. Thanks for viewing. All the glory are yours, O Lord. Very cute! Thanx for the tutorial and coming over to party! Very cute and clever. Love the 2 different patterns. That's wonderful. I knew there had to be a simple way to do this. Thank you! WONDERFUL tutorial! It's so pretty! Thanks for linking to Wicked Awesome Wednesday! 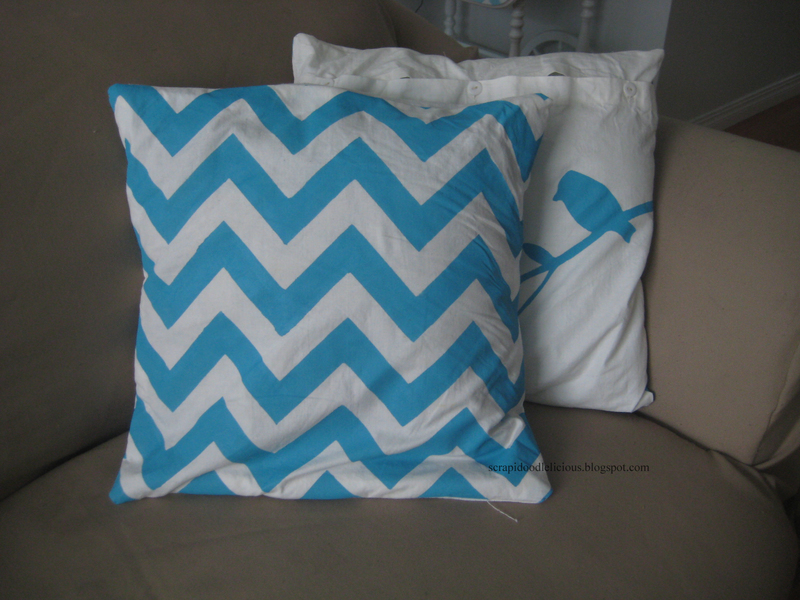 I am so making myself some of these pillows they are beautiful and the color possibilities are endless. Thanks for the inspiration. Thank you so much sharing and for linking up to our party Show and Share this week! 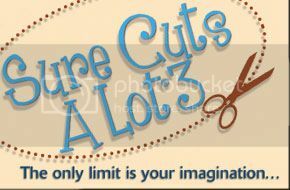 Come on back this Wednesday to link up your current projects. I really like the pillow and that is the cutest little sewing machine I have ever seen ! Thanks for stopping by.